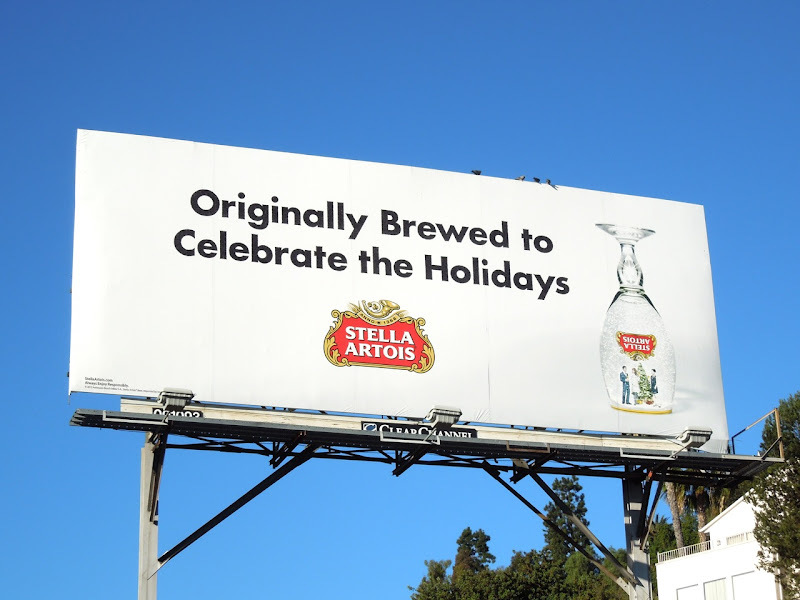 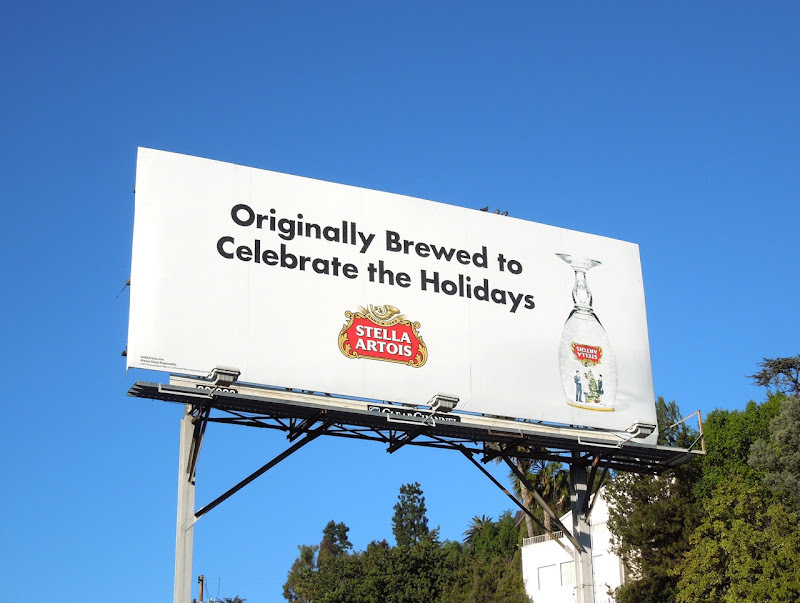 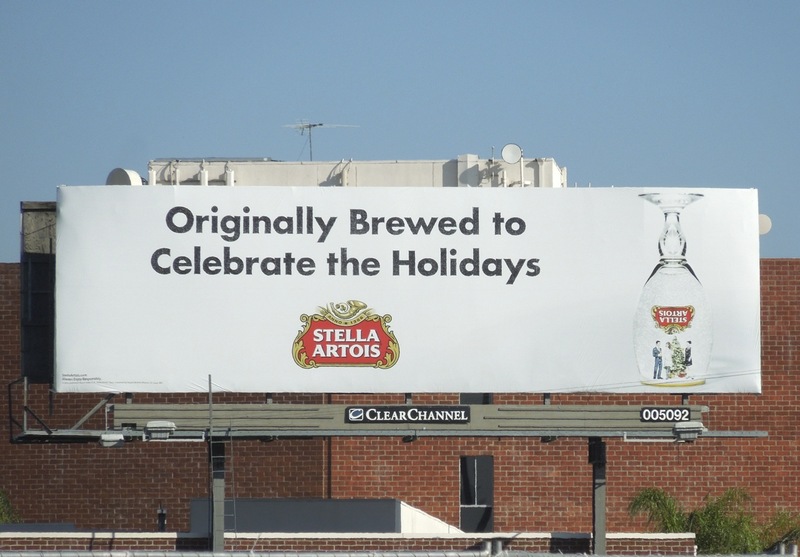 Who knew that Stella Artois was originally brewed to celebrate the holidays, Daily Billboard certainly didn't. 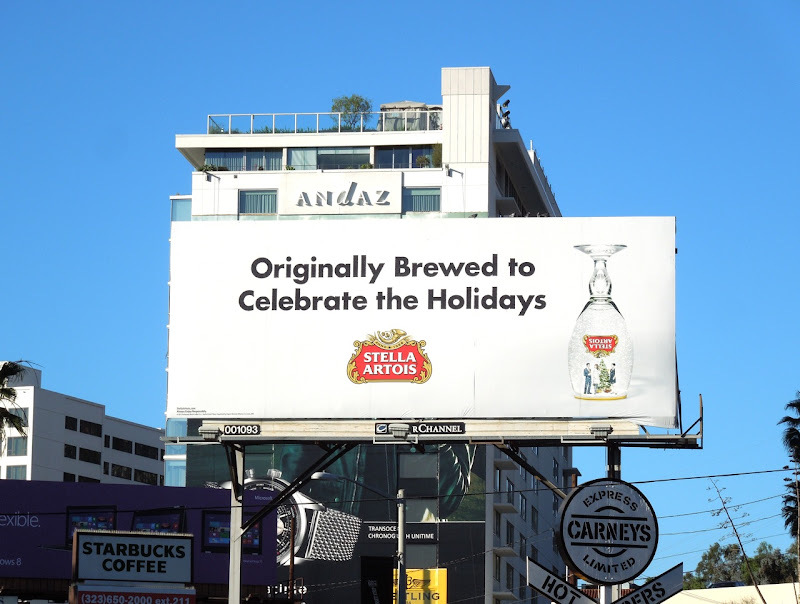 This ad creative is a clever way to make the beer brand more relevant at this time of year when hot toddies, eggnog and cocktails are being drunk and bottles of spirits are being given as gifts. 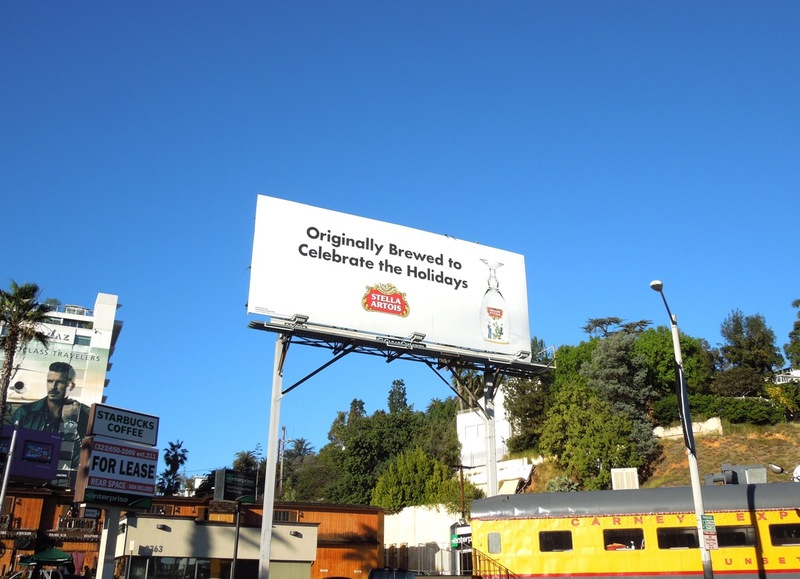 This simple, festive billboard was photographed along Sunset Boulevard above the Carney's hot-dog train restaurant on December 15, plus along Ventura Boulevard in Sherman Oaks on November 25, 2012. 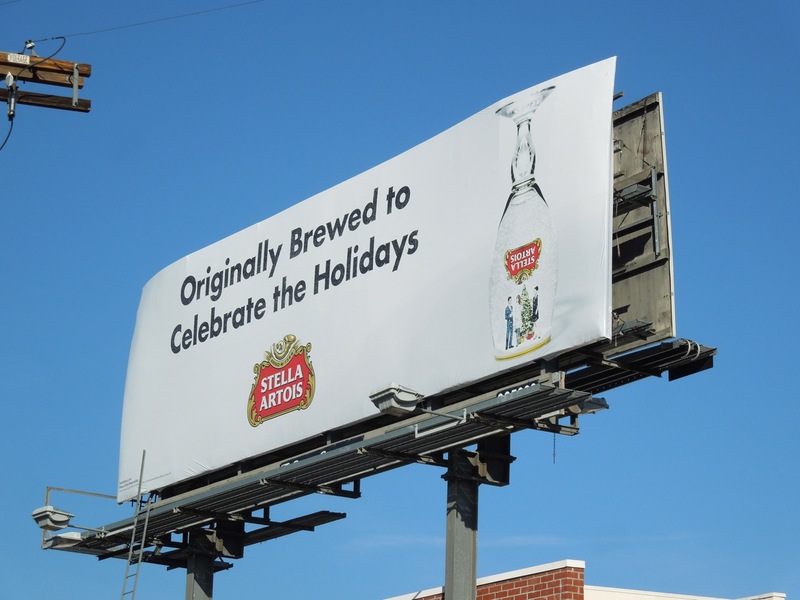 If you're a fan of the beer, be sure to check out these other Stella Artois beer billboard ads.